The grotesque bigotry of the modern Republican Party’s evangelical base is the 10,000 pound elephant in the room. We already knew they elected public officials on the backs of LGBT people, kept African Americans down through a Southern Strategy, and have a notable hostility towards all Muslims and immigrants. They also don’t like Mormons and believe the religion is a non-Christian cult. USA Today mentioned that a LifeWay research survey of 1,000 pastors nationwide, conducted last October, found three in four Protestant pastors disagree with Mormons’ claim that they, too, are Christian. The ugly whispers burst into full public view at the Values Voter Summit in Washington, DC this weekend. Dallas Pastor Robert Jeffress, who introduced Rick Perry at the event, brought up the “M” word and the “C” word (Mormon and Cult). When asked about Mitt Romney’s religion he said: Romney is “a good moral person” but Mormonism “has always been considered a cult by mainstream Christianity.” The American Family Association’s Bryan Fischer seemed to agree with this assessment. I predict that Romney may run into a fundamentalist brick wall in South Carolina — the home of dirty Lee Atwater-style politics. I can easily see an audience member in a town hall meeting, who secretly works for Perry or Bachmann, asking Mr. Romney: “Boxers, briefs, or magic”? 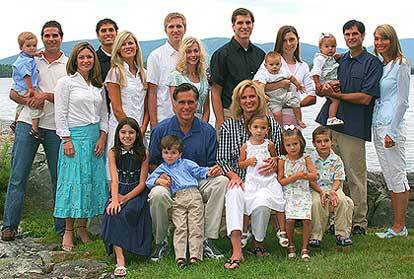 They could send out a direct mailer or start a whisper campaign questioning why Romney has so many gigantic houses. Is he trying to conceal secret wives and furtive families in these homes, much like they did on the Big Love television series? If Republicans could portray John McCain as having an illegitimate black child in South Carolina, it would be easy to portray one of Romney’s son’s wives — as HIS wife. By the time the fact checkers come — the race would be over and the slime would stick. I’m afraid that this is what may occur down south, given what I heard in the dark corners of the Values Voter Summit — and on stage. Today’s GOP is the party of fear and smear. Why Mormons vote Republican is a mystery. They should hear what social conservatives really say about them when they think Mormons are not listening. From what I heard several times in the hallways at the Values Voter Summit this weekend, Mormons are foolish to remain Republicans. Their popularity barely registers above that of gays and lesbians.